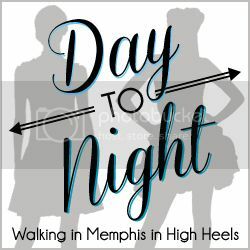 Today I am teaming up with Laura of Walking in Memphis in High Heels to show you two ways to wear a red silk shirt. 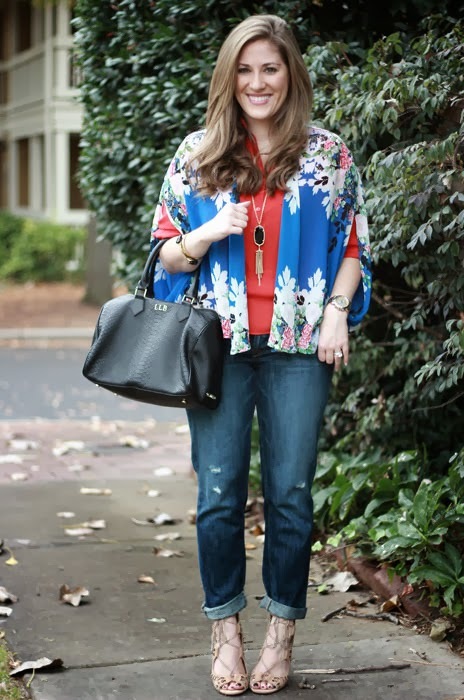 I love the pretty colors of that cardigan she's wearing today - you check out her blog for more details. I've mentioned it before, but red isn't my favorite color. I'm more of a green kind of girl. However, red is a great holiday color so I'm trying to embrace it more this season. And by embrace it, I mean wear the one item that I have that it is red: this shirt. I'm also wearing black and brown together which feels a little cray cray, but rules are made to be broke, right? (Nerd alert: I actually never break rules. I'm the biggest rule-follower out there). Thanksgiving is upon us, friends. It feels so right and so wrong at the same time. I'm having trouble convincing myself that Thanksgiving 2012 wasn't like two months ago. 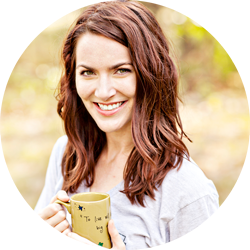 I'm gearing up for lots of fun family time, delicious food and hopefully a new baby to meet! What are your plans for next week? I love that jacket! The ruffle detailing is really cute! What a great garage sale find! You should wear red more often, it's so pretty on you! And you look great it red! So cute!! Red is a great color on you! Ohhhh the red looks great on ya! Oh that shirt is perfect! You can pair it with almost anything! 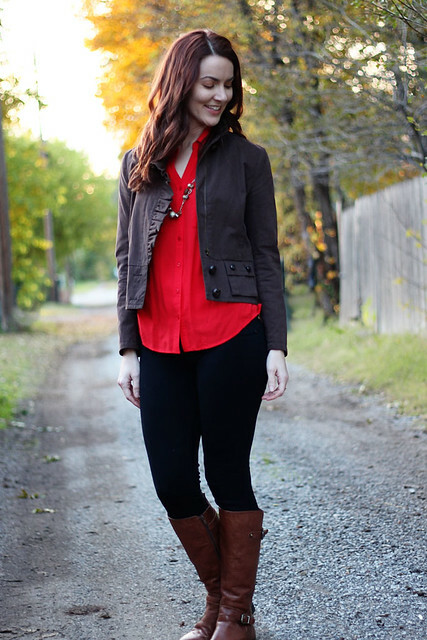 The red blouse just pops against the neutrals! I admit I don't own much red in my closet...for some reason it isn't a color I naturally gravitate towards. Love the boots! Super cute and comfy outfit! 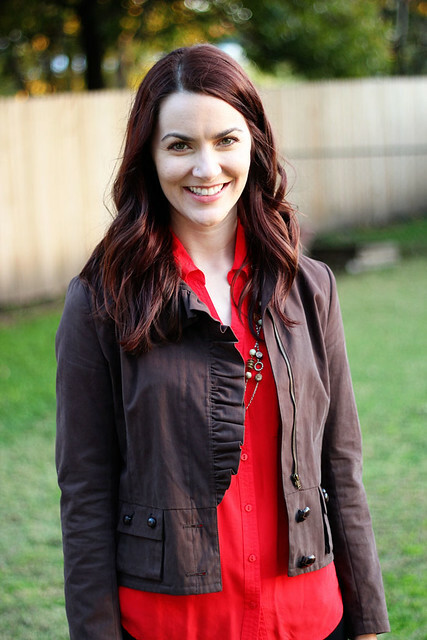 Red is totally my favorite color, but I could definitely use more of it in my wardrobe and I love me a silky shirt! Hmm, perhaps it will go on my wish list! I'm loving how you paired it with that brown jacket with the ruffle detailing. It sort of tones it down a bit, very lovely!